Established in 1872, Cooke Brothers has a long established history and reputation for supplying hinges for standard and bespoke applications, at home and overseas. Its website provides an easy-to-use, simple to navigate guide to all that is best in architectural ironmongery and in metalwork production. Cooke Brothers was established in 1872 in the heart of the Jewellery Quarter in Birmingham, founded by the sons of William Cooke, a Lancastrian who had much success in the cotton Industry. Right from the outset Cooke Brothers has concentrated on the production of hinges and other hardware products as well as metal stampings. Cooke Brothers has rapidly prospered and after many earlier relocations within the industrial heart of Birmingham, a brand new purpose built site in the adjoining county of Staffordshire was developed. Cooke Brothers now occupies a 7 acre site dedicated to the manufacture of its core business: hinges. The latest addition to the company is Tim Cooke, the 5th generation of the Cooke family to enter the business. 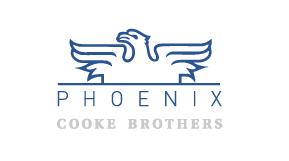 Tim is focusing on further improvements to the company’s manufacturing systems and will be leading Cooke Brothers through its next phase of growth and development.